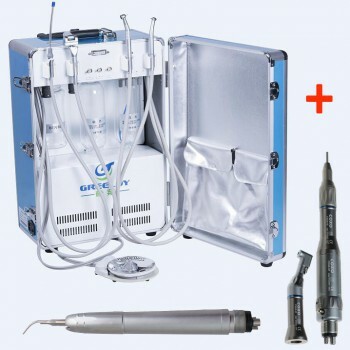 Buy Cheap Dental Portable Turbine Unit Scaler Curing Light Handpiece+Dental Portable Chair form Alandental.com|Dental Equipment for Sale! This item does not contain hand pieces ! 1. Model GU-P109A-2 folding chair set is launched with various new modifications on its original type, application and structure. 2. 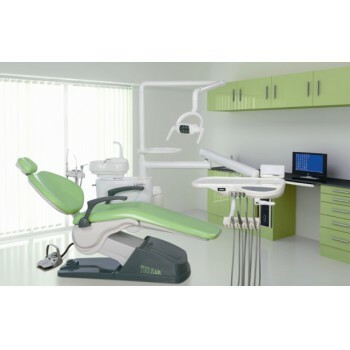 This product is featured by its light weight and flexibility in movement, positioning as well as its unique design, solidity and stability of structure, and convenience of folding and unfolding. 3. 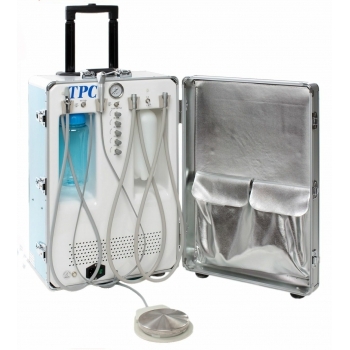 The structure of this product is made of quality angle steel components with sprayed plastic coating finished by acid-washing. 4. 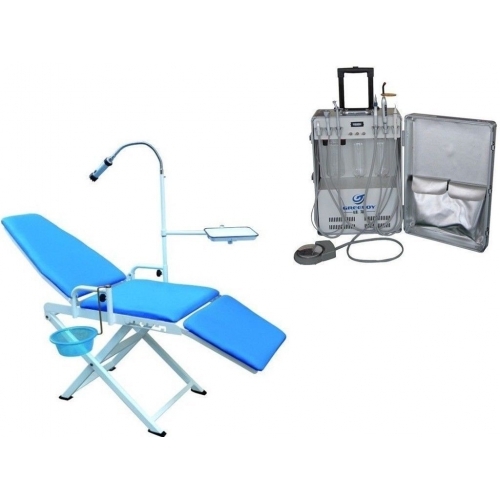 It is suitable for a lot of applications such as dental treatment, transfusion, beauty salon, leisure resting, etc. 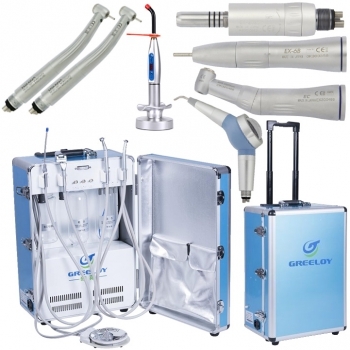 *If you want to buy more than 10 pcs portable dental unit,please contact with us, you will get the dealer's price,The more quantity will get better price. 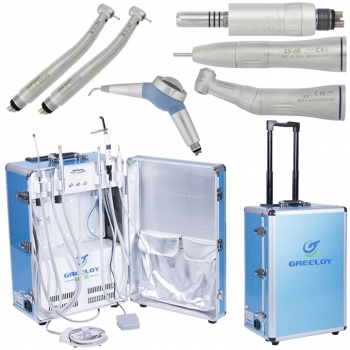 *we will match the plug of portable dental unit to you according to your country.